US Digital Media keenly understands the impact of technology on the environment. Our recycling and carbon footprint reduction practices reflect our passion to ensure that the world we live in and the world we create can coexist for a tomorrow that we can be proud of. Products sold by USDM have helped reduce massive amounts of paper waste. Each gigabyte of flash memory saves approximately 40,000 pieces of paper. USDM has sold close to 10 million flash drives. USDM's paperless initiative has flourished. Within three years, the company has reduced paper use by half. Scrap paper is reused for notepads and 90% of vendors utilize email invoices. The use of EFTs has tripled in the last year to reduce the number of paper checks. As a result, USDM continues its efforts to become a 100% paperless operation. 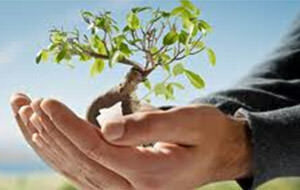 USDM continues to push and advocate products that reduce the company's carbon footprint. These products include but are not limited to: bamboo USB flash drives, recycled paper CD sleeves and DVD cases that use 30% less plastic than comparable packaging. Five years ago, Styrofoam coffee cups were replaced by reusable, hard plastic mugs given to every employee. Two years ago, USDM switched out all fluorescent lighting in the company building for a more energy efficient alternative through the APS Solutions for Business Program. For more than six years, discontinued or defective discs and plastic packaging as well as all cardboard are recycled through Waste Management's recycling program. Recycling bins are distributed through break rooms and workspaces for the waste reduction of daily cans, plastic and paper. Used toners are recycled to eliminate toxic waste in local landfills.